Landstar support comes from a world-class team of more than 1000 employees dedicated to making your business more successful. And thanks to Landstar's cutting edge technology, such as Load Alerts and access to Landstar’s Load Board, this level of Landstar support allows you to spend more time moving loads and earning revenue, and less time having to deal with paperwork. Thousands of loads can be accessed from your home computer, laptop, iPad or mobile device. Its features help make quick and intelligent load selections. Load Board demonstrations are offered daily to show how actual loads are offered to and booked by Landstar owner operators / BCOs. Call us at 913-341-5858. You cannot always be looking at a computer screen, which is why Landstar developed a proprietary load alert application which notifies you of new loads meeting or exceeding parameters and locations you enter. You can set additional variables, such as minimum rate per mile, minimum gross revenue and much more. It’s like having your own dispatcher 24/7. Both applications are web based, extremely user friendly, and serve as powerful Landstar support tools in earning top revenue. After 90-120 days at Landstar, you will attend this very valuable class. The program is designed to improve safety and retention. It includes a morning safety meeting and an optional afternoon session devoted to improving the business side of your operation. Landstar provides lodging and monetary compensation for participation in CABS. As the largest owner-operator trucking company in America, Landstar utilizes its buying power to secure discounts from major vendors and truckstops on fuel, tires, and a variety of other business expenses and equipment. Learn more about LCAPP. 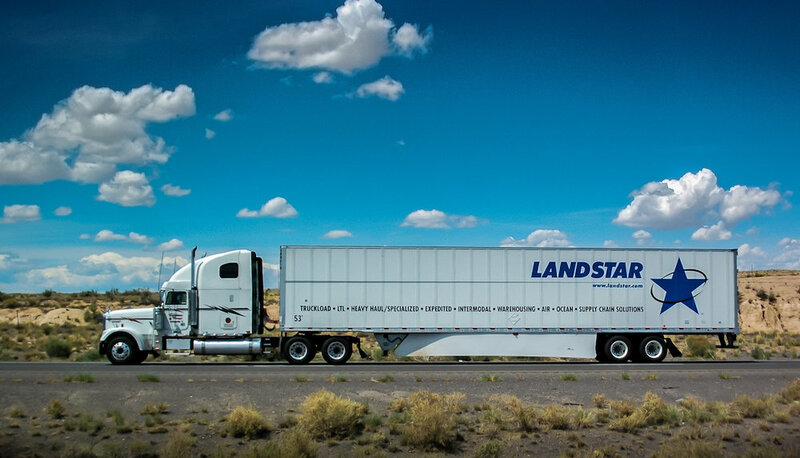 Landstar KCL Agency opened its doors in 1997, and is one of a few select agencies in the Landstar system tasked with both recruiting and retention of new owner operators and selling Landstar freight services to hundreds of new and existing customers. Our office understands Landstar from a driver’s perspective, which is why we can help you transition smoothly into the Landstar system and provide on-going support as needed. If you would like to speak to a Landstar recruiter about Landstar support and more, click here. If you would like to apply with Landstar, click here.